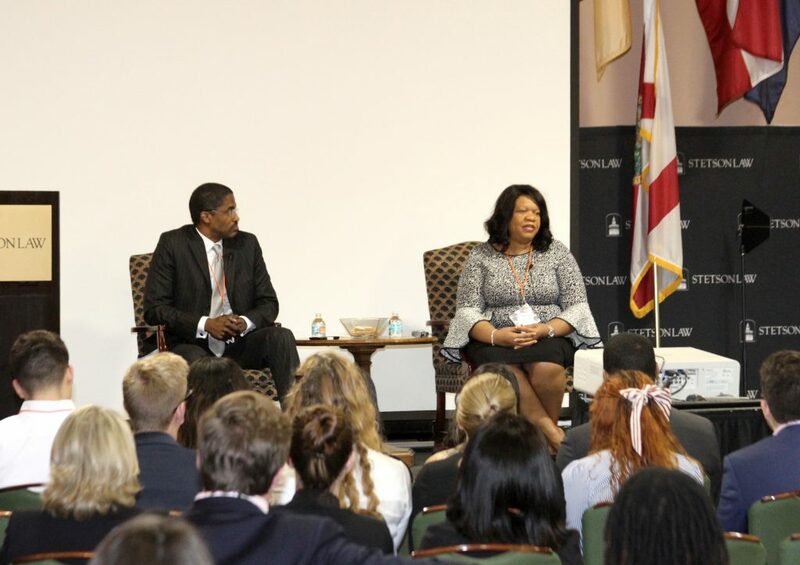 (L-R): Lanse Scriven and Judge Mary Scriven candidly answered students’ questions about the career/life balance during the closing keynote address. Photo by Frédéric Boidin. Greg Coleman presented the opening keynote address. Photo by Frédéric Boidin. 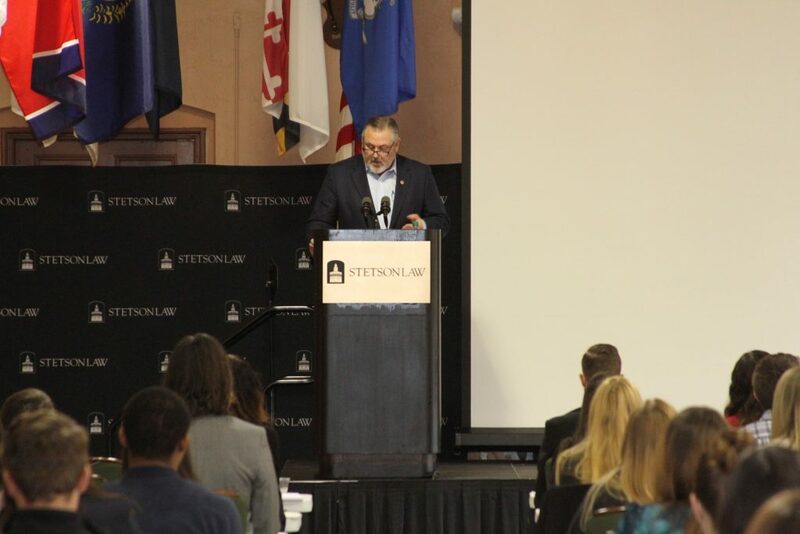 Stetson’s third annual Campus to Career: Professional Development Conference featured programming including more than 20 session speakers and keynote presentations by Florida Bar past-president Greg Coleman J.D. ’89, Judge Mary Scriven and attorney Lanse Scriven. The one-day, co-curricular professional development experience was designed to help students learn key skills like decision-making, develop meaningful partnerships and competencies in the areas of resilience, time management, professionalism, decision-making, planning, civility, self-assessment, mentoring and wellness. 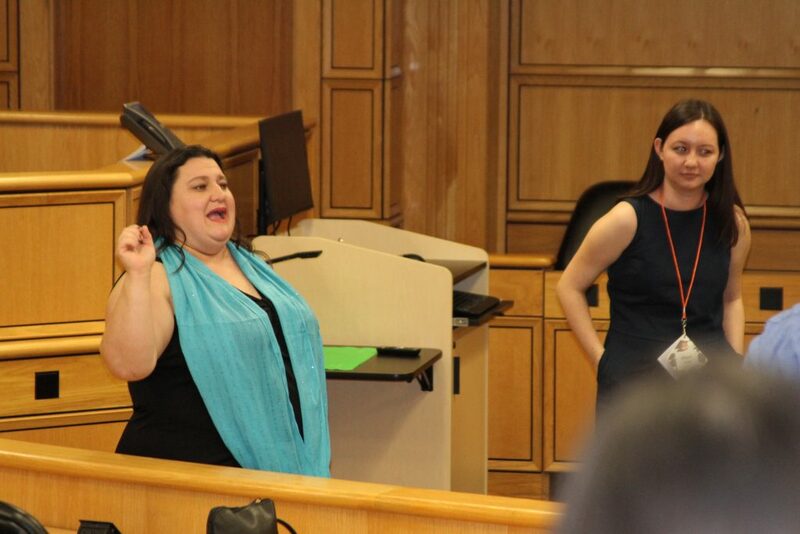 Session topics by faculty, staff and members of the legal community included recognizing diversity in attorney-client communications, time management, advocacy skills, networking, mentoring and using improv exercises to relax and focus. A committee of staff and faculty including Associate Director of Career and Professional Development Joann Burnett, Interim Assistant Dean for Student Affairs Kirsten Davis, Manager of Marketing and Social Media Laura Cheek, and student co-chair Ashly Valenzuela coordinated the event. Student Jose Garcia has worked on the committee for the past two years. Jennifer Strouf presented on using improv to relax and focus. Photo by Frédéric Boidin.